One of the largest and most expensive studies ever to explore a potential link between cell phones and cancer has finally concluded. 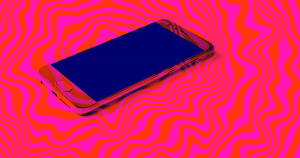 On Thursday, the National Toxicology Program (NTP) released the results of a study focused on determining if there’s any evidence of a link between cell phone use and cancer. Its conclusion: yes, but only under very specific circumstances. For their study, the NTP researchers exposed rats and mice to high levels of radio frequency radiation for nine hours a day for two years. Following this exposure, 5 to 7 percent of the male rats developed malignant schwannomas, a type of nerve tumor, in their hearts, while 2 to 3 percent of the male rats developed malignant gliomas, a deadly brain cancer. None of the rodents in the control groups developed these conditions. The above results led the agency to conclude there is “clear evidence” of a link between cell phone use and heart schwannomas and “some evidence” of a link with brain tumors. For one thing, the NTP study has been in the works since 1999, and today’s cell phones no longer utilize the same radio frequency. So unless you’re still rocking a 2G flip-phone, the radio waves emitted by your device are probably the kind that have more trouble penetrating the human body. Secondly, the rodents’ exposure to the radiation wasn’t entirely comparable to that of a human cell phone user. So, $30 million and nearly two decades later, it looks like this NTP study is leaving us right where we were before it started: almost completely unsure whether the phones in our pockets could be harming our health.